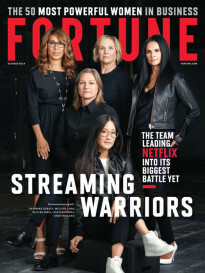 FORTUNE — The victory Aereo won in a New York federal court Wednesday is only temporary, but it threatens to undermine the delicate contractual structure of American television in a way that could give Apple (AAPL) a boost. Aereo is a start-up funded by ex-Fox CEO Barry Diller’s IAC (IACI) that streams the local broadcast signals of TV stations via the Web to iPhones and iPads for a $12 monthly fee. It’s been available since March in New York City, but there’s no technical reason it couldn’t work nationwide. Even before it began operations, Aereo was sued by a small army of big content providers, including CBS (CBS), NBC Universal (CMCSA), Disney (DIS), News Corp. (NWS) and WNET. Claiming they would suffer “irreparable harm,” if Aereo were allowed to sell their copyrighted material without sharing the revenue, the content providers sought a temporary injunction that would have shut Aereo down. On Wednesday, Judge Alison Nathan denied the injunction. The case now goes to trial, which could take some time. So how does it affect Apple? For starters, it allows Apple customers in New York City to get local TV content on their iOS devices — bringing them one step closer to being able to “cut the cord” — i.e., get access to a full complement of TV entertainment without paying a monthly cable or satellite bill. But in the long run — assuming a jury finds in Aereo’s favor — it could reboot the negotiations with content providers that Steve Jobs started but was unable to complete before his death. Jobs’ dream for Apple TV was to provide, for a monthly fee, the best of television without the rest of the 500 channels that most viewers never watch. The content providers — particularly those owned by cable companies — had no interest in giving Jobs what he wanted, and as long as they held all the cards there was no reason for them to give an inch. If Aereo and companies like it (see here) are able to sell that content without paying for it, all bets are off. 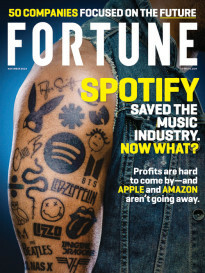 In a business environment where there are no retransmission fees to be collected, a deal with Apple — which unlike Aereo is willing to share revenue — might suddenly look more attractive. Below the fold: A video interview with Aereo CEO Chet Kanojia that CNNMoney’s Matt Stuart produced in April.